Are you looking for fully functional word processor for your iDevice ? This article can suggest you a list of the best word processing apps for iPhone and iPad. All of these word processors come with tons of features and support almost all types of formats. Here we’re going to give you a useful list of powerful word processors. Some of these apps are very useful and can be used to create, edit, view and export all types of documents from your device. These word processing apps are perfect for managing almost all types of writing tasks. We’ve also listed some free office apps for your iPhone and iPad in this article, you can try those on your iDevice.Okay let’s check the list. 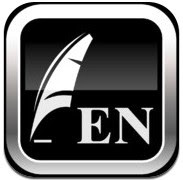 1. iA Writer ( iPhone & iPad ) – One of the best word processor apps on the Appstore that can be used to write long documents, blogs and other types of documents easily on your iPhone or iPad. The app includes tons of features with clean user interface. If you are looking for a professional writing app for your work, this app may be the best option for your device. The app comes with tons of options such as customizable keyboards, support all formats, documents can also be exported in PDF or HTML version, publish to WordPress blog or medium blog and many other features. 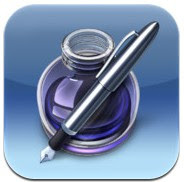 Great app for writing documents on your iDevice. 2. Pages ( iPhone & iPad ) – One of the most popular word processing apps on the app store. Great app by Apple that lets you complete all types of word processing related tasks easily on your iPhone and iPad. pages helps you create, edit, view all types of documents including MS word documents. Great alternative to MS word that lets you create beautiful documents, letters, reports, cards and posters.The app includes lots of Apple designed document templates, easy document viewer and editor with tons of tools, beautiful charts, tables, color,fonts and textures and document sharing option. 3. 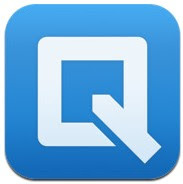 Quip ( iPhone & iPad ) – Quip is a recently released powerful word processor that is currently available free of cost on the app store. Featured rich and beautifully designed app that works on your iPhone, iPad and Desktop. Quip includes tons of features such as beautiful document creation feature, note taking , to-do list creation option, messaging option with every document, offline editing option, folder, checklist , inbox and mention. Great app that can be installed free of cost on your device. 4. 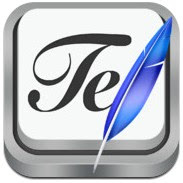 Textilus Word Processor ( iPad ) – Textilus Word Processor is a powerful and featured rich word processing app for iPad that comes with many features. The app helps you create & edit all types of documents such as Microsoft Word, Open Office, Nisus Writer , Scrivener etc. Very useful app that is integrated with fully functional rich text editor to create professional and stylish documents. With this app, you can easily create beautiful documents by inserting photos, charts, real signature , sketches and drawings. Great app that comes with tons of features ,including cloud syncing feature, multi languages support, powerful rich text editors with lots of tools, backup and password protection options. 5. Textkraft ( iPad ) – TextKarft is one of the best word processors for writers, students and editors and it comes with lots of writing tools. Very powerful word processing app for iPad users that includes powerful text search engine to find/replace texts, undo/redo function, powerful spell checking feature, auto correction mode, MS word support, import/export and file sharing functions and lots of other useful features. Very useful word processing app for iPad users. 6. Documents 2 free ( iPhone & iPad ) – Featured rich free office suite for iPhone and iPad that comes with a powerful text editor and lots of other functions. If you are looking for free office app, you can try this app on your device to access many useful features free of cost. The app is integrated with text editor, document viewer, photo manager, spreadsheet , Google sync , direct email and lots of useful functions. Great app for iPhone and iPad users. 7. 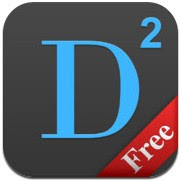 Document Free ( iPhone & iPad ) – If you are looking for free word processing app to edit and manage your documents easily, this app could be the best option for you. The app is currently available free of cost on the Appstore and helps you write, edit and sync your documents with Google drive, dropbox and Microsoft one drive. Very useful rich text editor app that supports almost all types of document formats and can also be used in offline mode.